This is the GenRight Off Road heavy duty Stubby front bumper with Trail type Stinger for Jeep Wrangler TJ and LJ Unlimited. This is our high quality, high clearance Stubby front bumper with our 1.75 inch tube front winch and grille guard welded directly on. It is perfect for your favorite trail as it Will Not get caught on any obstacles while on the tight trails. 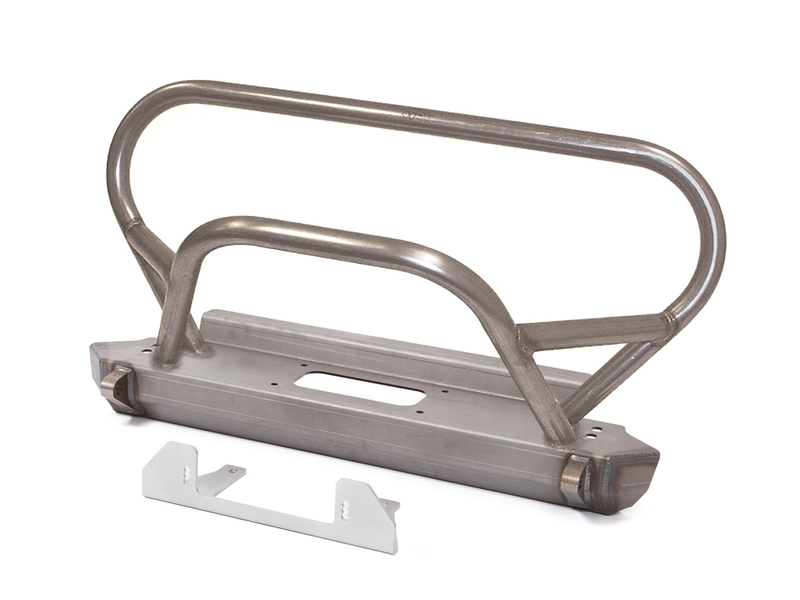 The low profile winch mount design keeps the winch lower than most other bumpers to allow for better air flow into the radiator.